The quality and efficiency of TATAR Holding is based on many years of experience and forms a solid foundation in the real estate sector. The core business is the further development and value enhancement of our long-term portfolio. 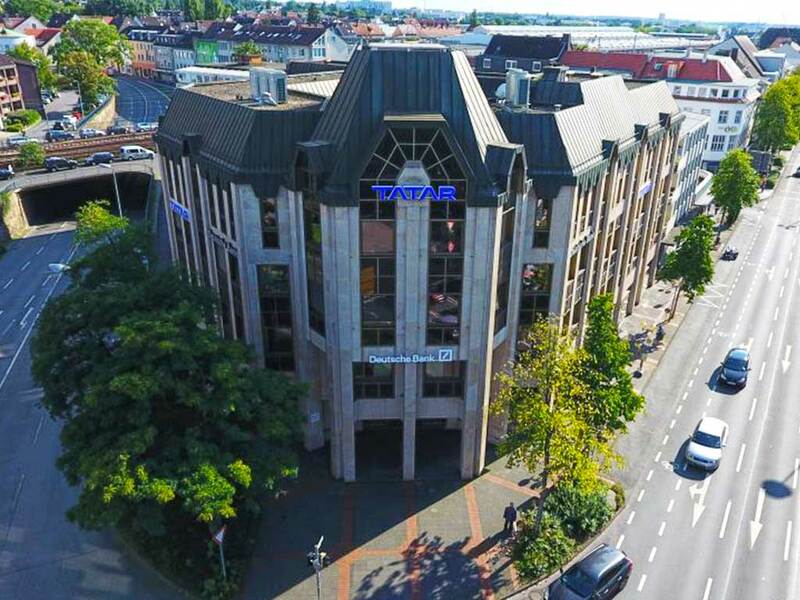 Tatar Holding is a portfolio holder of real estate from Paderborn. In addition to the development and management of its own real estate, Tatar Holding is strongly involved in the purchase of new real estate projects. With experience in the conception, marketing and realisation of office buildings and residential complexes, Tatar Holding is your partner for project developments. Our core business is the further development and value enhancement of our long-term portfolio. Our primary goal is to increase the value of the investment properties we purchase and to expand our own portfolio to a volume of EUR 1 billion. Here we benefit from our large network of brokers, appraisers, architects and engineers as well as excellent market knowledge in our target segment. Tatar Holding is a medium-sized portfolio holder of real estate in Germany. In addition to the development and management of its own real estate, Tatar Holding is strongly involved in the purchase of new real estate projects. With experience in the conception, marketing and realisation of office buildings and residential complexes, Tatar Holding is your partner for project developments. As a franchisee of KFC, Tatar Holding operates branches at various locations in Germany. Tatar Holding operates a total of 11 KFC branches in North Rhine-Westphalia. We are always looking for new locations and properties for our expansion in this area. We are looking forward to your offers. For several years Tatar Holding has been investing in innovative IT companies in the field of consumer internet, marketplaces and software-as-a-service. The portfolio consists of a broadly diversified range of digital companies, which are supported by Tatar Holding during start-up and early stage financing. Please send us your pitch deck for an initial review. Locations in northern Germany with positive economic and demographic forecasts – this is where we invest. In office properties, residential complexes, commercial buildings in A and B locations and in residential buildings. We are critical when it comes to assessing property quality and the future viability of a location; for us, they are the most important criteria for the success of an investment. Our goal is the sustainable development of properties and locations; our preferred strategy is Manage to Core. We invest as a long-term portfolio holder and participate in the development of urban districts.